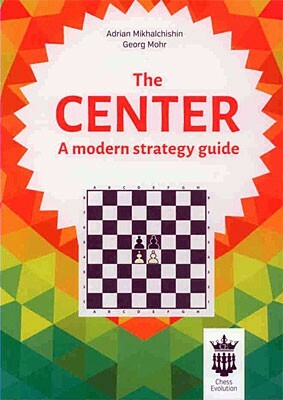 Produktinformationen "Michaltschischin, The Center - A modern strategy guide"
There is a blank spot in the huge world of chess literature: systematically presented middle- game. Th erefore authors, both long-term chess trainers, decided to fi ll this vacuum. With a series of books about the middle-game, we would like to present diff erent topics of chess tactics and strategy in a slightly diff erent way. Books, which will be published in the coming years as part of the series, are planned to cover all frequently discussed themes, as well as many others topics those about which chess players and also trainers usually do not think as deeply as they should in order to achieve better results. The weak square as a trump! Active play in the center: the advance of the pawns! Weiterführende Links zu "Michaltschischin, The Center - A modern strategy guide"
Kundenbewertungen für "Michaltschischin, The Center - A modern strategy guide"